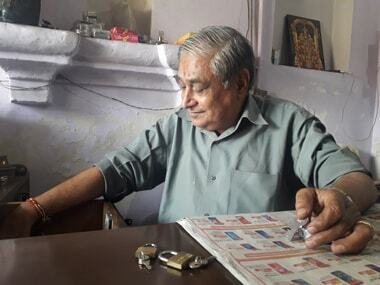 Ashok Kumar does not mind the unannounced visitor. 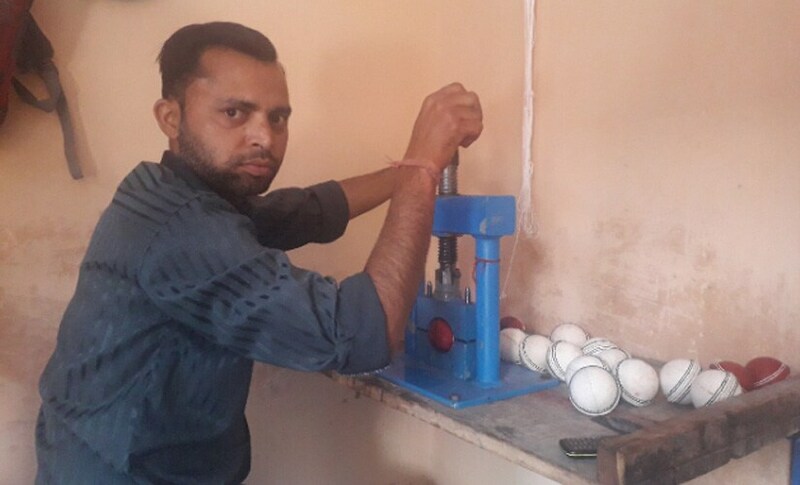 On a scorching April afternoon, he is in the middle of stitching cricket balls in his one-room apartment which also doubles up as a factory in the Nayi Basti in Meerut's Sports Complex on Delhi Road. Upon an apology for interrupting his day, he says, "It is perfectly fine. Not like I am drowning in work." 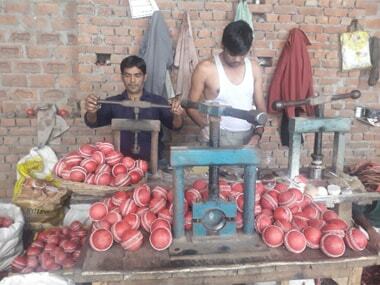 Ashok is 34, and he has been making cricket balls for professional matches for almost 15 years. But he is going through the worst phase of his life. "I normally used to make 200-250 of them per day," he says, sitting beside a bucket in which about 25-30 balls have been readied. "Today, it is down to 50 pieces per day. There was a time when we employed 15 workers. Now only one is remaining. I have had to lay off the rest." Ashok has an answer to when things started going south. “Yogi ji ke pehle kaafi kuch theek tha (Before Yogi, it was fine),” he says with a wry smile. After Yogi Adityanath became the chief minister of Uttar Pradesh in March 2017, he has been cracking down on cow slaughter. Within days of his swearing in, the state chief secretary wrote to all regional administrative and police authorities informing that the “Closure of illegal slaughterhouses and a ban on mechanised slaughterhouses is a priority for the current government”. 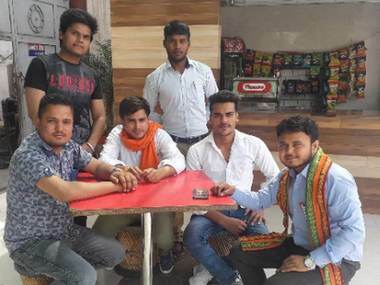 Locals in Meerut, one of the important cities in Western Uttar Pradesh, say the government has found one reason or the other to make lives difficult of those engaged in cow slaughter. Even the ones legally operating are filled with fear, considering the increasing hate crimes under the pretext of Gau Raksha. 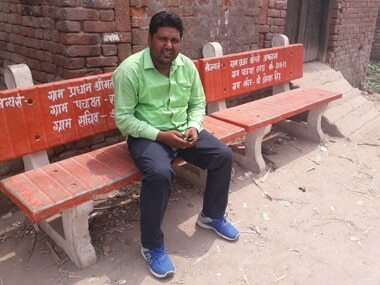 The Nayi Basti, where more than 30,000 people live, is dotted with single room factories like that of Ashok’s. The residents are mostly Dalits. One can name any cricket gear and its factory exists in the nondescript Basti. They are all sailing in the same boat, considering that the majority of it involves the use of leather. The Meerut Sports Goods Industry, along with Jalandhar, accounts for nearly 75 percent of the sports goods in the country. 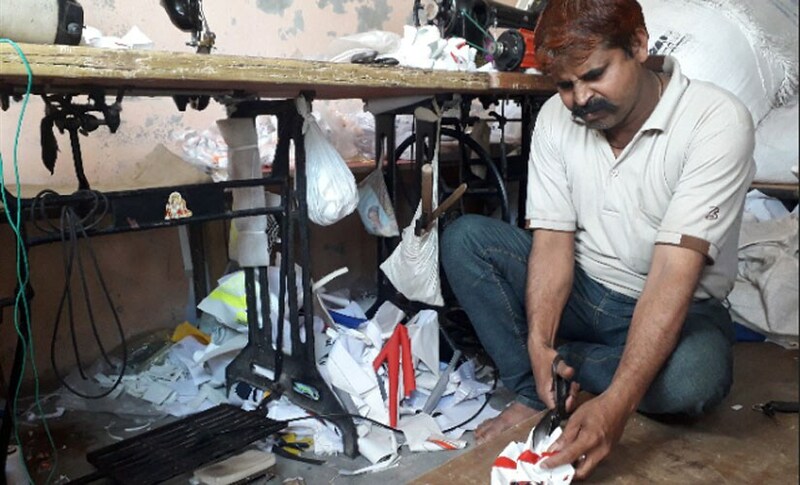 The single-room factories supply their goods to the iconic Suraj Kund market in Meerut city, which is dotted with sports shops on both sides on a one-kilometre stretch. Uttar Pradesh’s unemployment rate of 9.6 percent is much above the national rate of 6.8 percent, according to the Centre for Monitoring Indian Economy (CMIE). Their report notes the state’s labour participation rate is almost 39 percent, or more than 3 percent below the national average, which reflects starkly considering it is India’s most populous state. And the policies of the government, it turns out, are worsening the crisis. 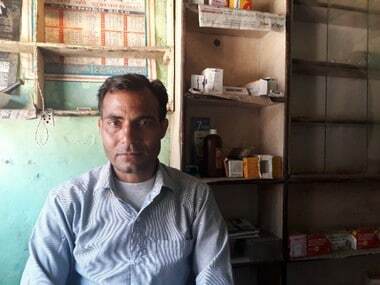 Dharmendra, who has been in this business for 12 years, says he never thought he would be leisurely sitting at his factory for an interview in the middle of the IPL season. “This is supposed to be the peak period,” he says, a TV overlooking his factory, playing an IPL match.